During your first visit your acupuncturist needs to gain a thorough understanding of your main complaint and your general health and lifestyle. This involves asking questions about your current symptoms and your medical history, as well as such things as your sleeping pattern, your appetite and digestion, and your emotional wellbeing. Women are also asked about their menstrual cycle and any past pregnancies and childbirth. Based on all the information you have given, the practitioner will make a diagnosis and put together your treatment plan, which may include lifestyle and dietary advice as well as acupuncture. 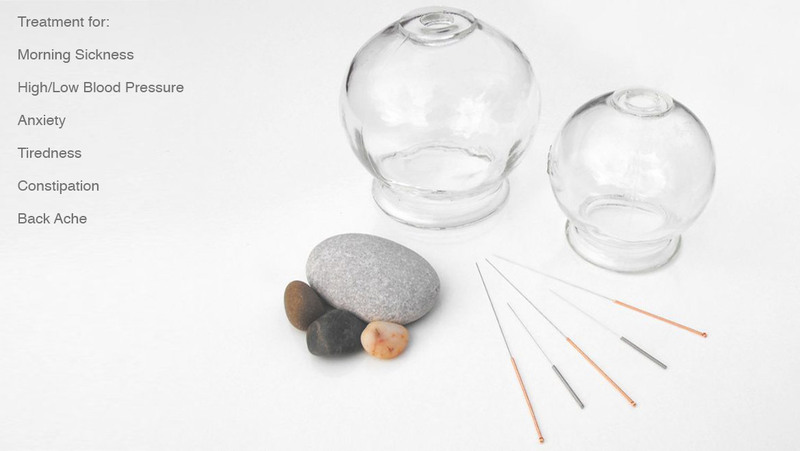 Your practitioner will use very fine single-use pre-sterilised needles to stimulate specific acupuncture points on your body. Because energy meridians range across the whole body, the points used are not necessarily close to where you experience pain or discomfort. For example, if you suffer from headaches needles might be inserted in your foot or hands. Your acupuncturist is likely to suggest ways in which you can enhance the long-term effects of your treatment. This may involve making changes to your diet and daily routine. If necessary you will be referred to other healthcare practitioners for specialist care. An adjunct technique to acupuncture called moxibustion has been used for many centuries to turn breech babies. A herb called moxa is ‘compacted’ into a cigar shaped stick, one end of which is lit and it’s slowly smoldered directly above an acupuncture point on the little toe. Research is currently underway, but previous scientific studies have found promising results for the turning of breech babies; somewhere in the region of 80% success rate. Acupuncture can be used to help to induce labour in overdue pregnancies. It should only be used for induction when the mother has passed her due date, and then only with the consent of the obstetric team in charge of the birth. This ensures that all medical factors are taken into account and that the appropriate facilities are in place if the treatment is successful in encouraging the natural process to start. Acupuncture treatment can occasionally have a very rapid effect, but generally speaking it may take at least a few days to work. During labour acupuncture is used for pain relief and to boost the mother’s energy if the labour is a long one. Acupuncture can also be used to restart labour if it has slowed down or if contractions have stopped. Acupuncture is used by new mothers to increase energy levels, to promote healing and to combat the ‘baby blues’. It also is very helpful in treating mastitis.